There are many online articles about the possibilities of making real profits by cheating on roulette games. This is not possible; however it is very possible for you to change the odds into your favor without bribing or cheating. There are two myths related to cheating at roulette. Use of mathematical systems to predetermine the results, is one of the most common myths. This has never worked before. 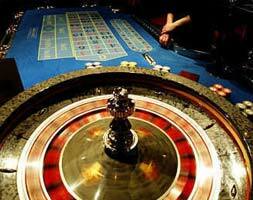 Outcome on any roulette game depends on pure luck since each spin is different and independent. This means that the ball might land on any pocket. Mathematical systems will only work where there is data to be analyzed and there is usually no current or past data stored about roulette games. In general roulette is a game that depends purely on luck; systems that claim to be making money consistently are in breach of the rules and regulations. The second myth tries to prove how the influence of money management can affect the house advantage. Money management will only work when you increase the size of your bet when odds favour you. It can also work when you decrease the size of your bet when luck is on your side. However it is a known fact that the house advantage is always fixed making the roulette a game of pure chance. The best way to place bets is on payout of 1 to 1. Some of the options that have this payout are: Low bets on numbers 1 to 18, High bets on numbers between 19 to 36, Red or black and odd or even bets. Cheating will never work on roulette because it is based on probability. The only way to succeed is by using the above tips to increase your chances of getting a win.